Of particular interest are uses for cosmetic applicators where it additionally acts as a subcutaneous exerciser for the purpose of offseting/delaying facial ageing. See Link for a full explanation. This technology is protecetd by further patents in China, India, USA and Europe. 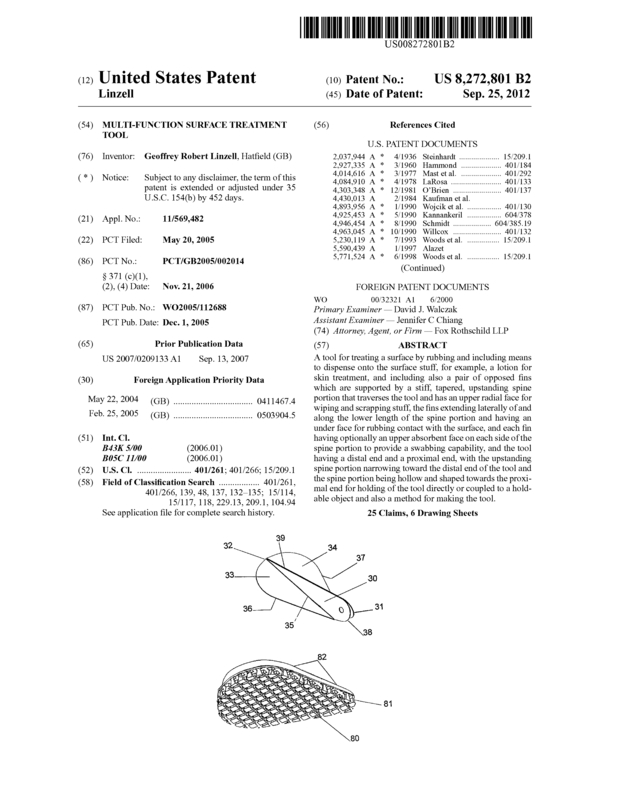 Page created at 2019-04-25 19:57:40, Patent Auction Time.